Anyone who’s ever worked with corded headsets knows that to get the best sound from your headset you need, among other things, the correct style of headset. For the quiet-to-moderately-noisy environment, you use a headset with a voice tube (best for picking up your voice), while a very noisy environment requires a headset with a noise-canceling microphone to reduce the ambient noise around you while your voice is clearly heard. That was the thinking with regards to corded headsets. 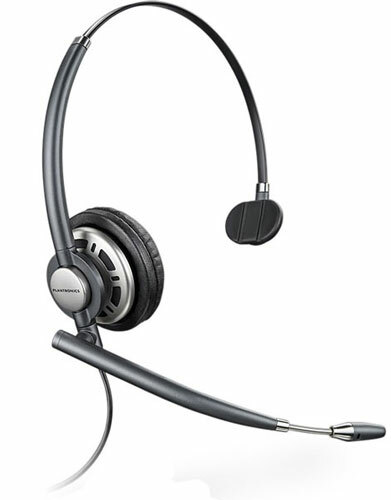 We say was because a few years ago Plantronics introduced the Encore Pro line of headsets. Just two models are offered, HW291N and HW301N, and neither comes with a voice tube, just an ultra-noise-canceling microphone. How are they able to get away from the need for a voice tube for quieter applications? Well, here’s a review of the key features for Plantronics’ latest offering in corded headsets, the Encore Pro, to help you with that question. We’ll start with the obvious. It has an ultra-lightweight ergonomic design for superior fit and all-day wearing comfort. The patented quick-disconnect feature allows you to keep your headset on when you need to walk away from the phone and to connect to a variety of Plantronics audio processors for standard or VoIP communication. Now for the features you don’t see. DSP, AudioIQ and Clearline audio technologies ensure precise listening levels, sophisticated hearing protection and superior audio performance, while high-frequency wideband support provides crystal clear conversations every time. So it’s these unseen improvements that allow the Encore Pro to be your one headset for any environment. 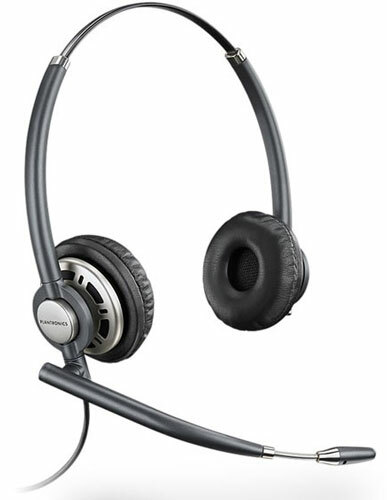 For more information call the sales team at Headsets Direct at 800-914-7996.